Drivers in Ontario have some of the highest car insurance rates in Canada. Like other drivers, there are many things that affect the rates, and fortunately, some of those things are controllable. If you’re dreaming of lower rates, read on to discover what affects car insurance quotes in Ontario and then do your best to lower your costs by taking these factors into consideration. Probably the biggest factor is your driving history. Obviously, those with a poor driving record will pay more. Avoid accidents, speeding tickets and other small infractions to prevent your rates from rising unnecessarily. Speeding is the easiest thing to control, and leaving your house just five minutes earlier than you think is necessary can give you leeway to get to your destination without feeling rushed. Having time to travel is the easiest way to avoid speeding and thus avoid a speeding ticket. If you already have marks on your driving history, there’s still hope. Typically, after some years of clean driving, those past infractions start to disappear. Insurers don’t get an indefinite look at your driving history, so improving your skills and reducing your negative impact now can save you money in the future. Your personal history and demographics play an important role in insurance costs. Typically young, unmarried men have the highest rates. The reason is that, statistically, these drivers are the biggest risk. While you can’t change your age or your gender, if you’re a young man, getting married may help reduce your insurance costs. That’s not a reason on its own to tie the knot, but as soon as you do, let your insurance company know of your new marriage status and reap the rewards of being a responsible husband. Everyone else can make sure that their insurance company has the correct number of years of driving experience on the record. If you began driving at 18 and your insurance company thinks you weren’t licensed until 21, those three years could drive your rates up. Always double check your personal information and make sure they have an accurate picture of your experience. The type of car that you’re insuring also plays a role in the cost. Newer, more expensive cars cost more to replace and repair than older vehicles. Thus, they cost more to insure. Insurance companies take a risk with every client, so they like to try to price their rates in such a way that you pay more into the system than you will potentially get out. Lowering your payout value will lower your insurance premium, so maybe think twice before you get that new luxury vehicle. When applying for insurance, you’ll be asked where you park the car at night. That’s because the insurance company wants to know which neighbourhood you live in. 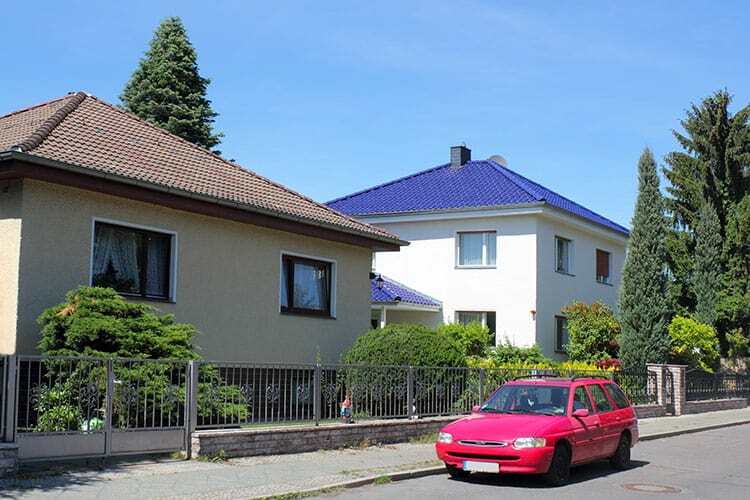 If you live in a nice neighbourhood and park in a garage, the odds of your car being stolen or damaged at night is very small and the insurance company rates you as a safer risk. If you live in a crime-riddled neighbourhood and park on the street, the risk to your vehicle goes way up. Also, if you live in a neighbourhood with a lot of other people who have submitted claims recently, your area may be targeted as high risk. Thinking like an insurance company can help you make smart decisions regarding your vehicle and outside factors. Change what you can to out yourself into a lower risk category and reap the rewards of lower insurance rates. 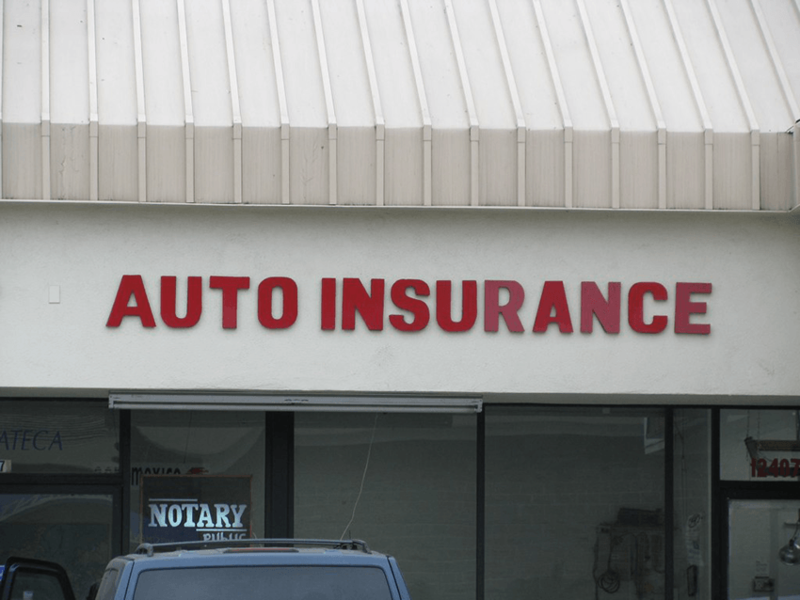 When you apply for auto insurance, the insurance company looks at a number of factors to determine your risk. One of the easiest things you can do to lower your rates is to drive a car that’s safe, affordable, inexpensive to repair, and not on the list of most stolen vehicles. Though that sounds complicated, it’s easier than you think to find a vehicle that meets all of these requirements. Aside from driving a different car, you can also avoid getting speeding tickets or other moving violations, which make you look like a bigger risk taker. Driver’s ed courses or defensive driving classes will all help lower your risk, as well. Educating yourself on the right way to drive and then demonstrating that you can do it will show the insurance company that you’re responsible. Responsible drivers have lower rates. In addition to things you can control, there are several things you can’t control such as your age or gender. Younger men tend to pay more for car insurance than any other demographic and if you fall into that category, you can’t do anything to reduce your driving risk besides wait to get older. Another factor that may be beyond your control is your neighbourhood. Moving isn’t always an option and if you live in the wrong neighbourhood, you may be paying more because of crime rates or even your neighbour’s driving habits. Unfortunately, it’s not always clear how your neighbourhood affects your rates. In order to get the best car insurance rates, work on improving your driving habits and choose a vehicle that’s known to be inexpensive to insure. You can also shop around for competitive rates to choose a provider that fits your budget. Understanding auto insurance in Ontario will help you secure the best rates.